An article by Russian anarcho-syndicalist Alexander Schapiro (1882-1946) written between the February and October revolutions in Russia, 1917. Alexander Schapiro was an anarcho-syndicalist militant active in the international anarchist movement and the revolutionary anarcho-syndicalist movement in Russia during the Russian Revolution and civil war (Anarchism: A Documentary History of Libertarian Ideas, Volume One: From Anarchy to Anarchism, Chapter 18: The Russian Revolution). Born in Russia, he was raised in Turkey, studied in France and then joined his father in London, where both of them were active in the London Anarchist Federation. He was a delegate of the Jewish Anarchist Federation of London at the 1907 International Anarchist Congress in Amsterdam and one of the signatories to the International Anarchist Manifesto against the First World War (Volume One, Selection 81). He became the secretary of the Anarchist Red Cross, which provided aid to imprisoned anarchists, particularly in Russia. He returned to Russia after the 1917 February Revolution, where he worked on the anarcho-syndicalist paper, Golos Truda [The Voice of Labour], and sought to revive and strengthen the Russian anarcho-syndicalist movement. For a time, Schapiro collaborated with the Bolshevik government, taking a post in the Commissariat of Foreign Affairs. He protested the persecution and imprisonment of anarchists by the Bolshevik regime and went into exile in 1922. He became active in the revived International Workers Association (IWA), which adopted an anarcho-syndicalist program (Volume One, Selection 114), and helped organize relief for anarchist prisoners in Russia. He spent time in Berlin, where he worked with Gregory Maksimov (Volume One, Selection 83) on the Russian anarcho-syndicalist paper in exile, Rabochii Put’ [The Workers Voice], and then went to France, where he continued his work with the IWA and edited the anarcho-syndicalist paper, La Voix du Travail [The Voice of Labour]. He eventually emigrated to New York, where he died in 1946. 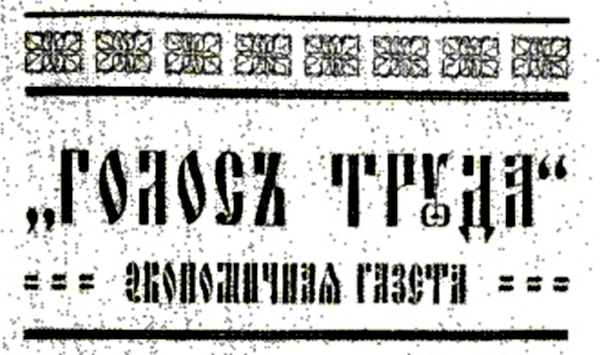 The first excerpt set forth below is taken from Schapiro’s September 8, 1917 article in Golos Truda, “The Crisis of Power,” in which he calls for decentralization and self-organization in place of the centralized power favoured by the Bolsheviks. Events were to take a much different turn when the Bolsheviks seized power two months later in the co-called October Revolution and proceeded to establish a centralized dictatorship. The last scenes of the first act of the crisis of power are playing themselves out at a feverish pace. And there is only one possible outcome: the removal of the bourgeoisie from any interference in the affairs of the working class. This is now the principal condition for achieving fundamental social changes in the life of the country, the more so as the bourgeoisie is marching openly and defiantly hand in hand with the Kornilovs [leader of a failed Tsarist coup in August 1917] and other conspirators against the revolution. But we must not close our eyes to the approaching second act, when Russia must decide whether to introduce a socialist government, as demanded by the Soviet of Workers’ and Peasants’ Deputies. If this should happen, the form of power would doubtless be different, but the root of the evil, the essence, would stay the same. For as long as power exists, a small circle of men will have in their hands the right to decide the fate of the whole people; and even if these rulers are socialists of the most decent and honourable sort, a clash between them and the people is unavoidable, and their relations after each conflict will grow more and more intense and antagonistic. The new authority will use as much force as the present authority against its enemies, and the struggle for socialism, the struggle for the rights of man, the struggle for liberty, equality and fraternity, will be as ferocious as it has been until now. Anticipating this new crisis of socialist power, we come to the conclusion that there is only one way out: the removal of all governmental interference in the affairs of the toiling masses. There must first occur a fundamental decentralization of power to the point of its final disappearance as a factor in the life of the Russian people. The people must not allow themselves to be muzzled again – not even with the muzzle of socialist production – so that they will have to fight once more for the elementary rights of free men. The transfer of authority to the hands of a Central Executive Committee is not the answer to the crisis of power. It can only slow down the development of this crisis, not resolve it. The only way out of the present situation is to transfer administrative tasks to local organizations – in other words, complete decentralization and the broadest self-direction of local organizations. In this work the local soviets of workers’ and peasants’ deputies can and must play an important role in regulating the course of everyday life and guaranteeing the local population the widest development of freedom. Only the spread of self-determination and local self-rule will definitively resolve the crisis of power. Taken from Robert Graham's weblog. An article by Sam Dolgoff about the failure of worker's parties.